The director of a Scottish freight transport firm has been banned from acting as a director for 9 years after he illegally used red diesel to fuel his fleet. A man from Glasgow has died in a smash involving a lorry and a car on a motorway. 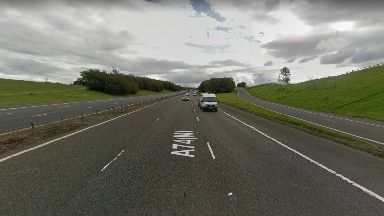 The crash happened on the southbound carriageway of the A74(M) near junction 20 Eaglesfield in Dumfries and Galloway. A 50-year-old passenger, who was in a Peugeot 307 car, was taken to the Queen Elizabeth University Hospital in Glasgow by air ambulance but later died. The driver of the car, a 39-year-old man from Callander, Stirlingshire, was also injured in the crash, which happened shortly after 4pm on Wednesday. A man, 59, who was driving the Scania lorry, was uninjured. The road was closed for around six hours while investigations were carried out.